The Javea weather is known as one of the mildest along the Costa Blanca. This is due the two bays which surround Javea – the cabo San Antonio and the cabo San Martin. These bays keep the winds away from the city and lead to the mild Javea climate. In summer temperatures can reach up to 40 °C, whilst during winter time it hardly falls below 10 °C. 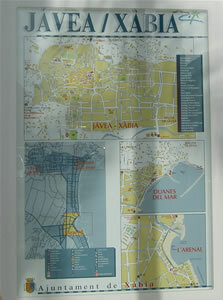 More Information on Javea weather, tourist information and important places to visit in our Javea/Xabia section.